Poly-V Belt Specially designed to last longer than conventional belts. It requires less re-tensioning and provides better power transmission. Gas Honda 20 hp engine with electric start. Left and right cutting capability.. Integrated fuel tank (2.2 gal) for extended use. Complete console with engine start/stop switch and throttle, transmission control lever, tachometer/timer. 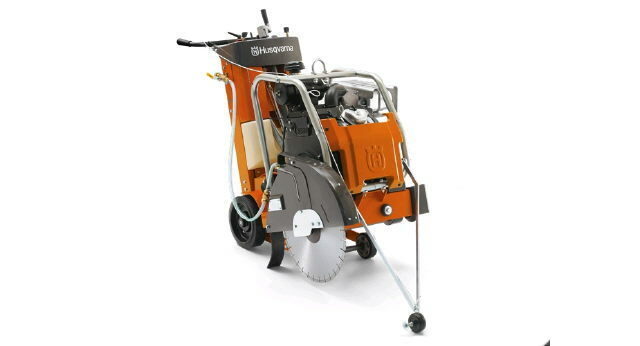 * Please call us with any questions about our concrete saw 20 inch self propel in Mason OH, Westchester OH and Cincinnati metro area.